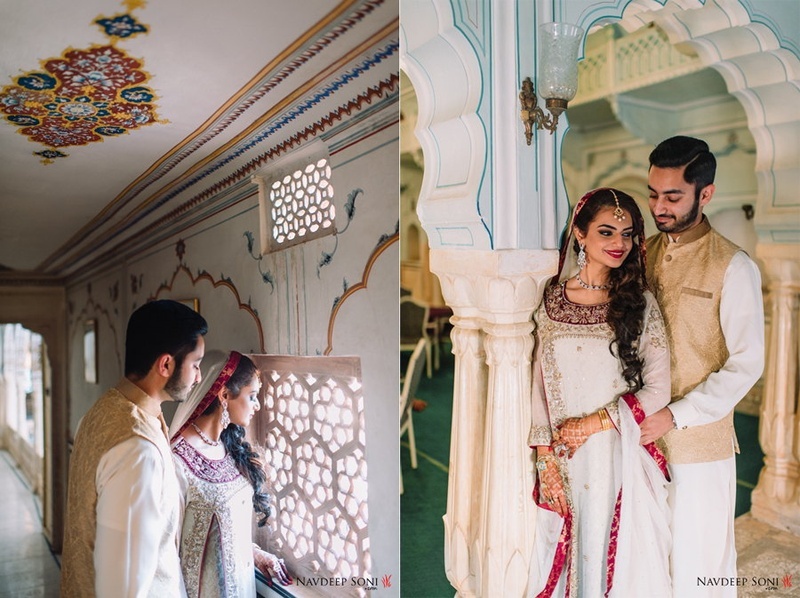 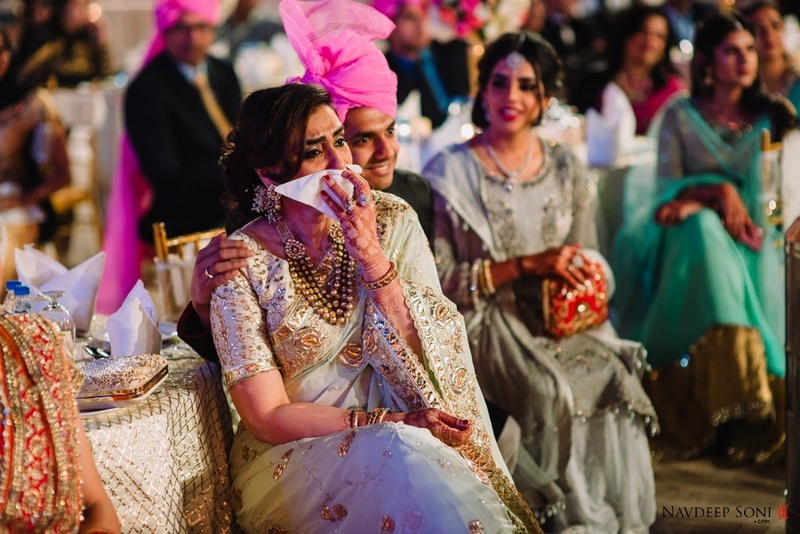 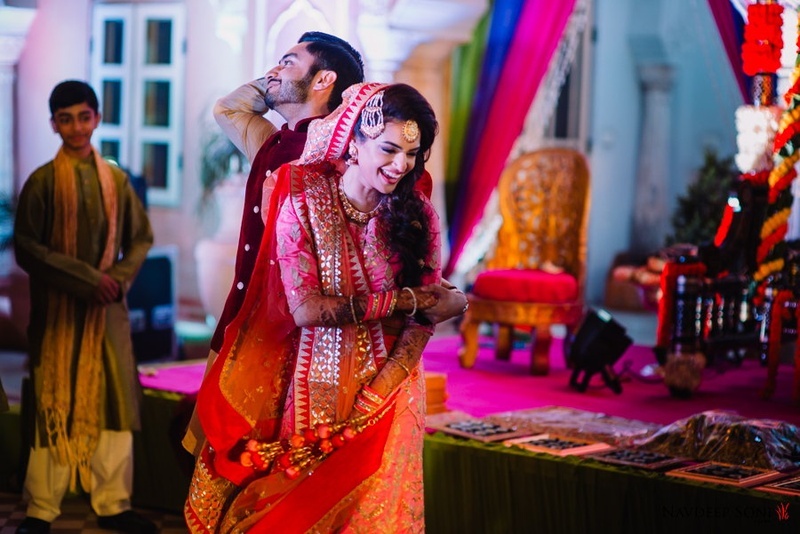 Reham and Abaan, our gorgeous couple just tied the knot in a beautiful destination wedding at Chomu Palace, Jaipur! 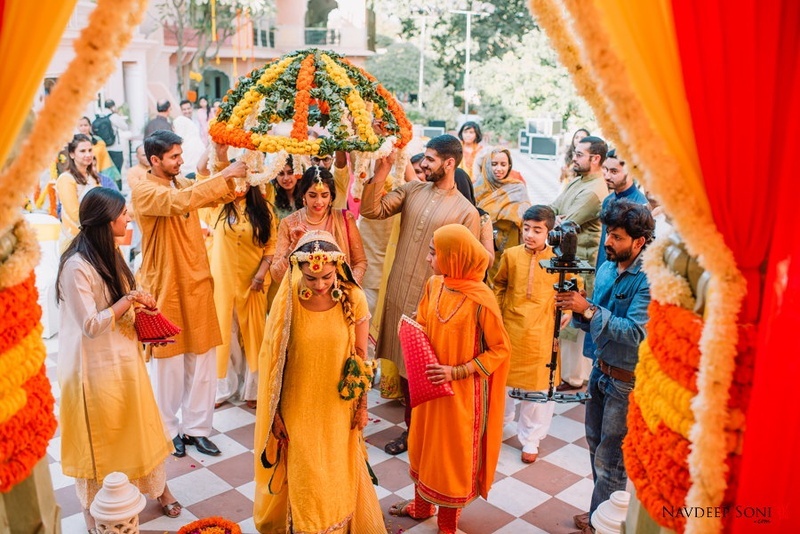 Surrounded by friends and family, while nature and Chomu Palace played host, the couple took their vows. 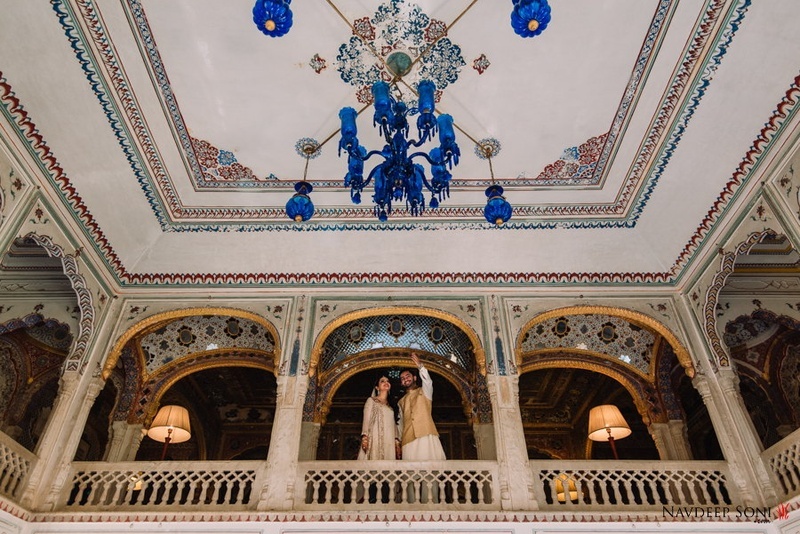 Holding your wedding at a palace definitely allows a regal touch, providing the perfect spots for couple shoots, something that Reham and Abaan took advantage of, giving us some gorgeous wedding inspo! 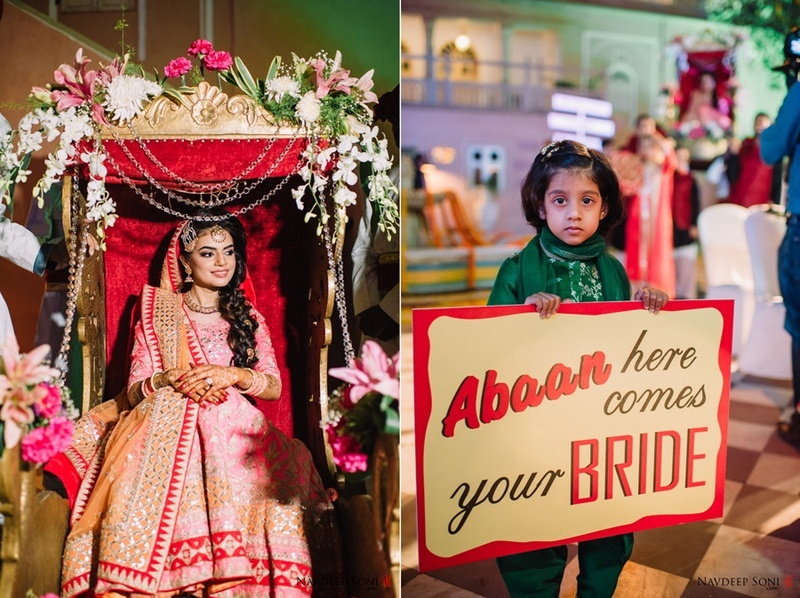 From some unique floral jewellery for her mehendi and haldi, Abaan rocked the show when it came to her beautiful bridal outfits! 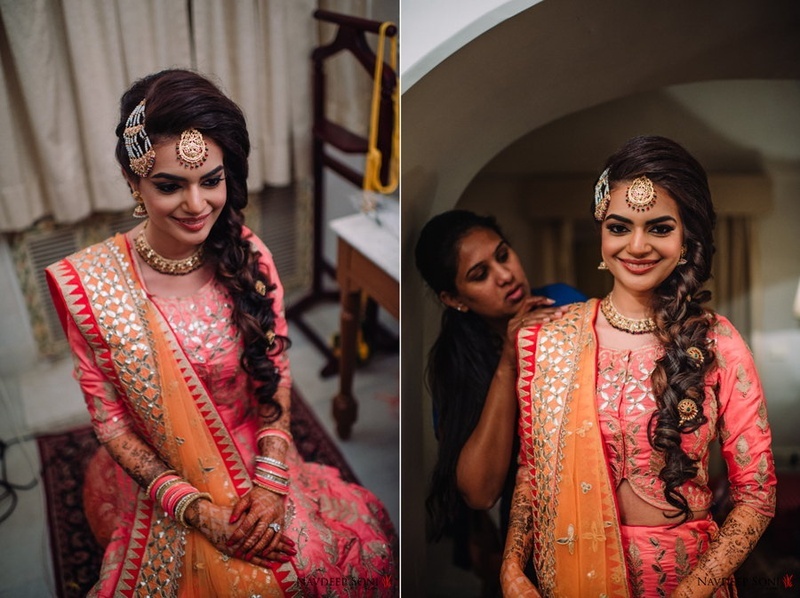 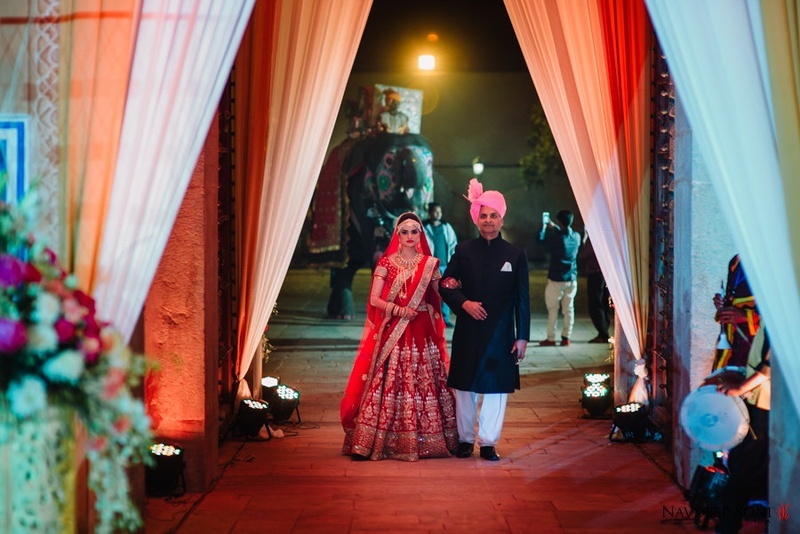 She opted for a pink number for her sangeet night, entering like a princess on a palanquin. 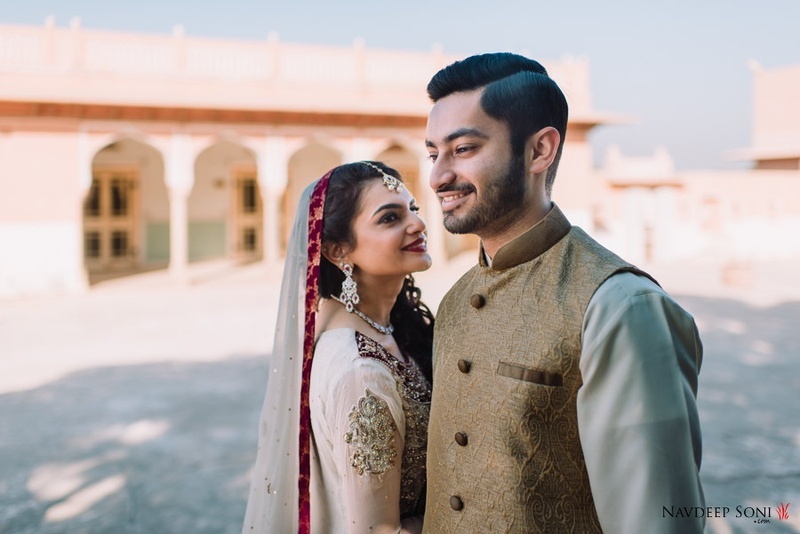 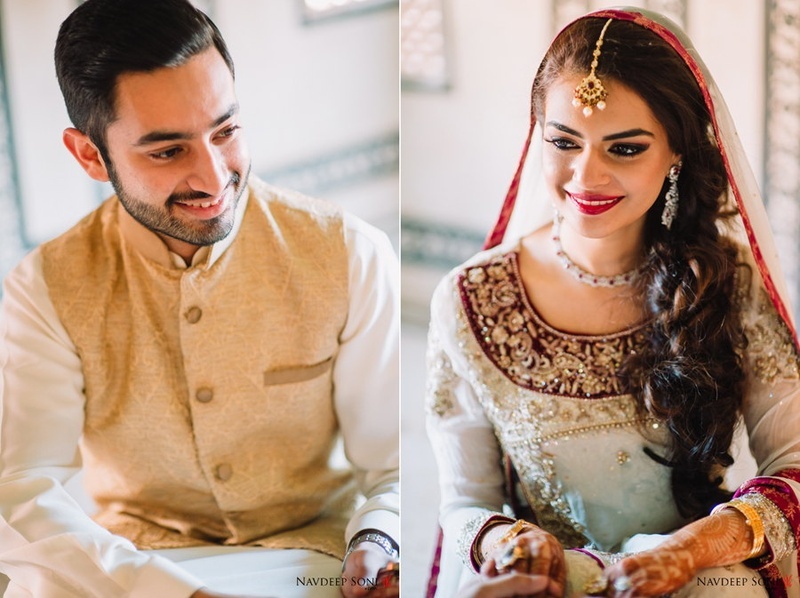 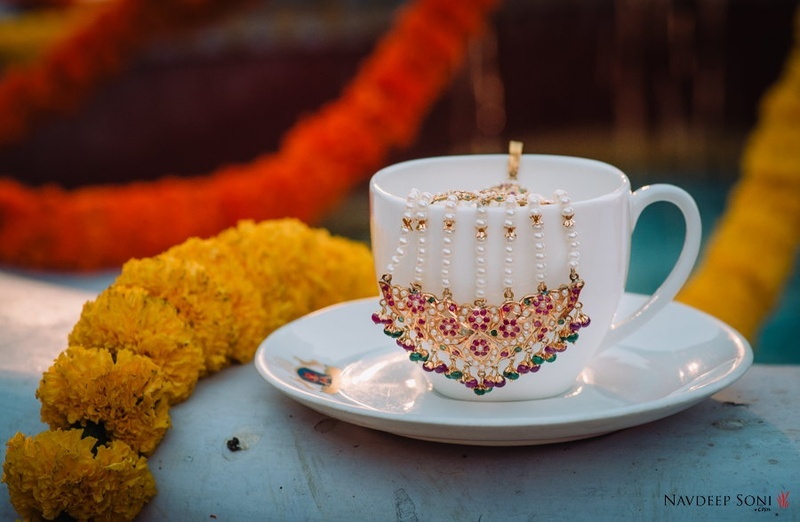 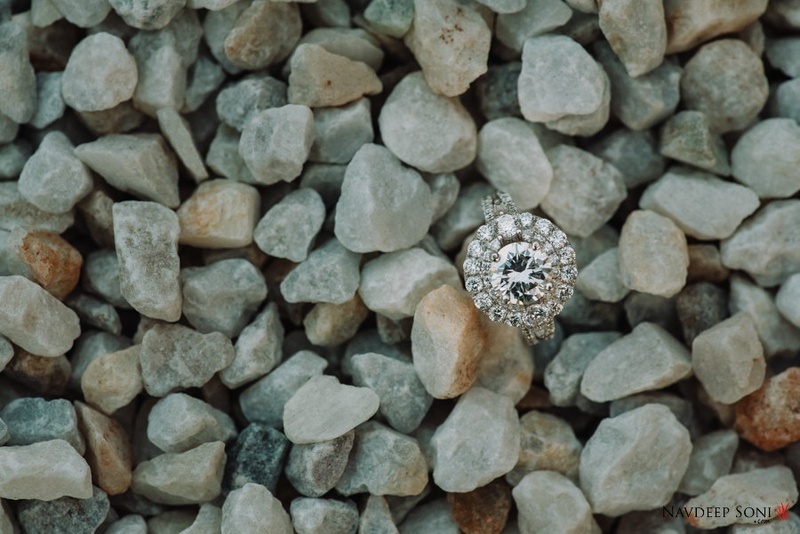 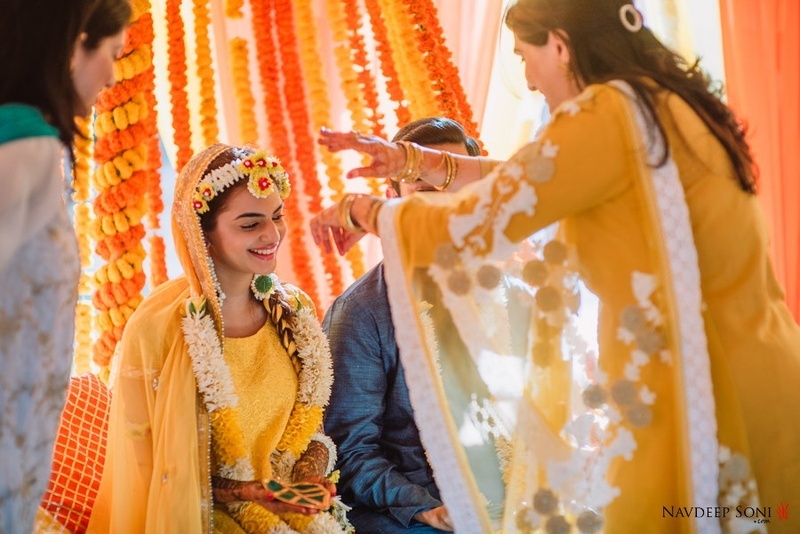 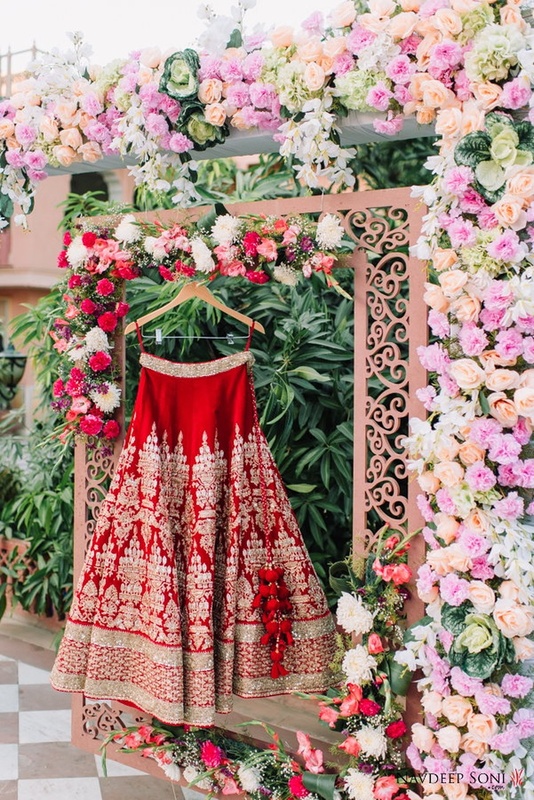 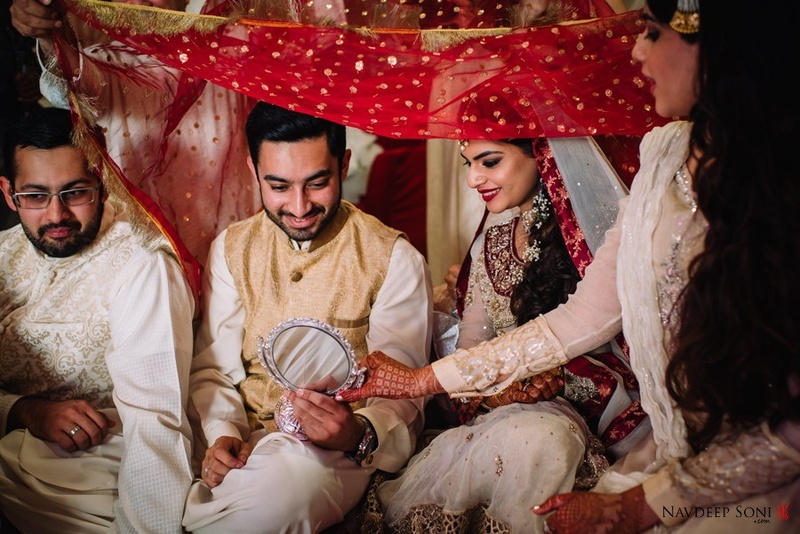 For her wedding, the couple chose to go with sober colors, with Abaan choosing a white base with maroon trimmings and most gorgeous bridal jewellery we've seen! 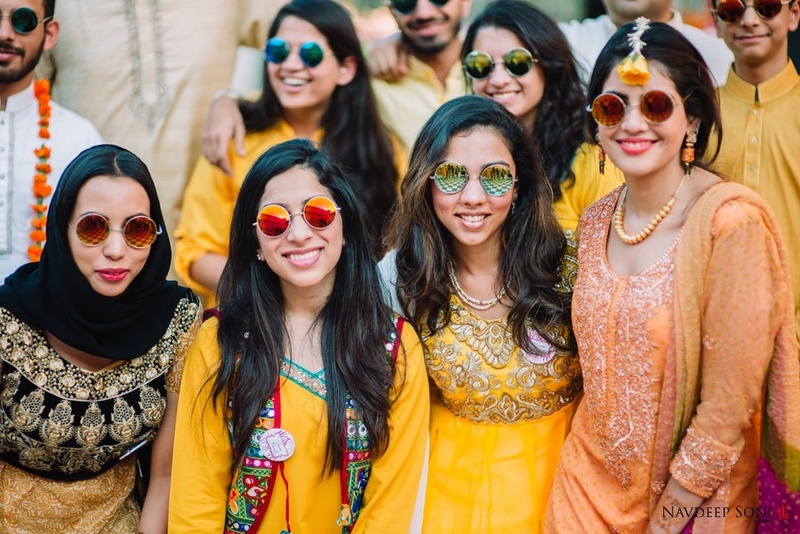 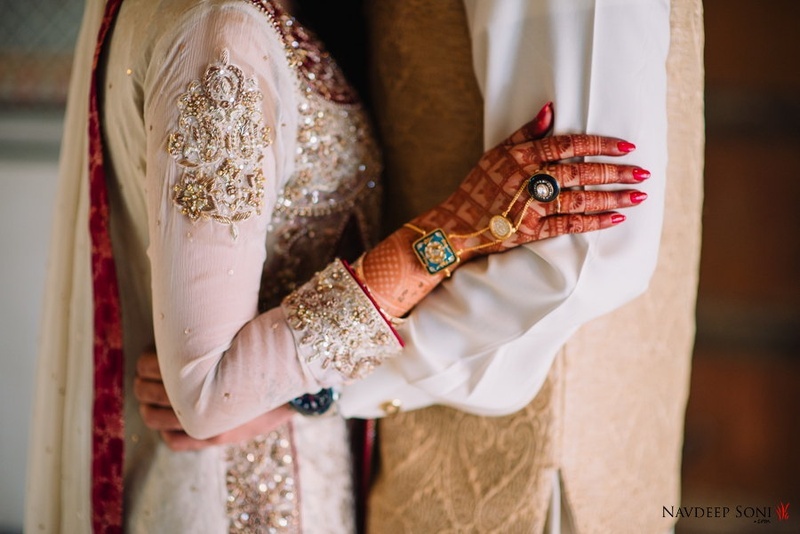 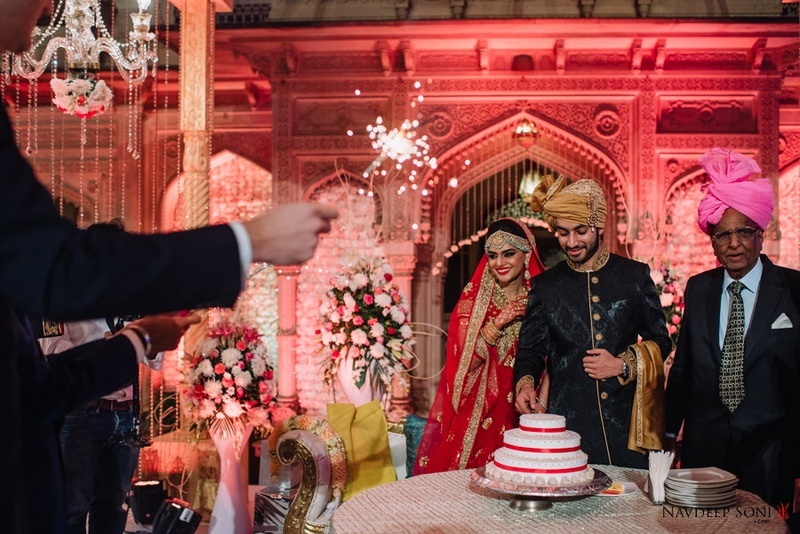 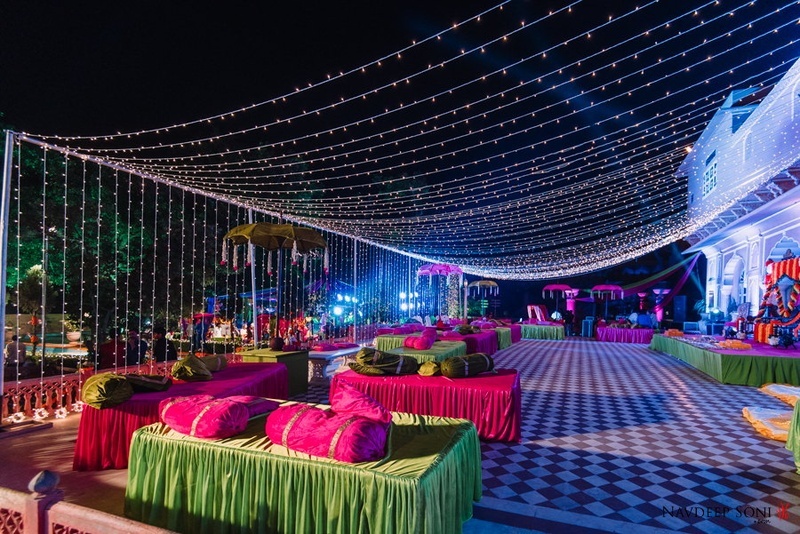 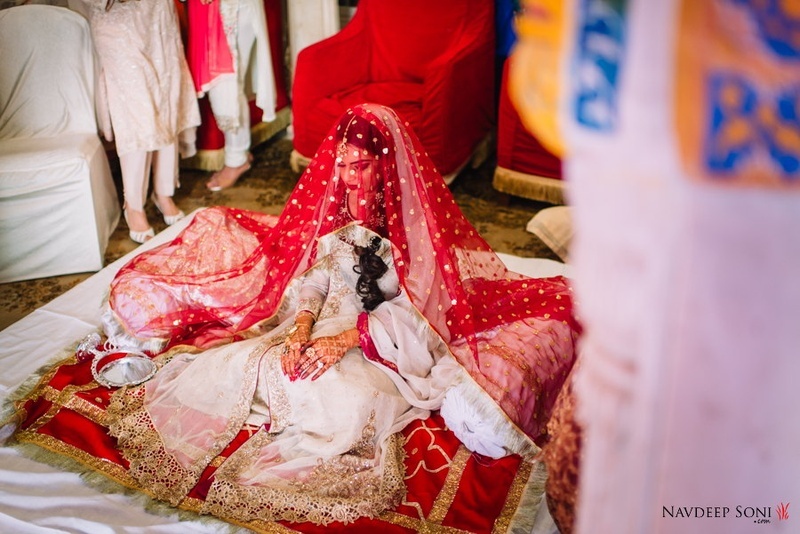 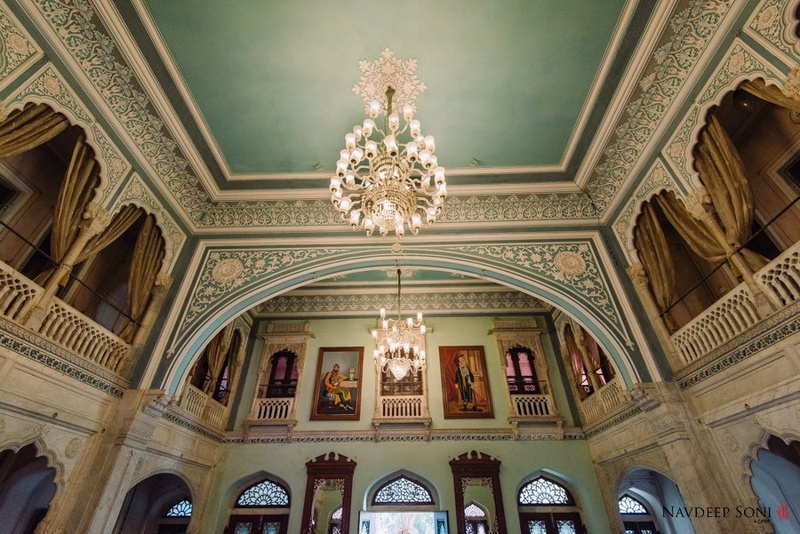 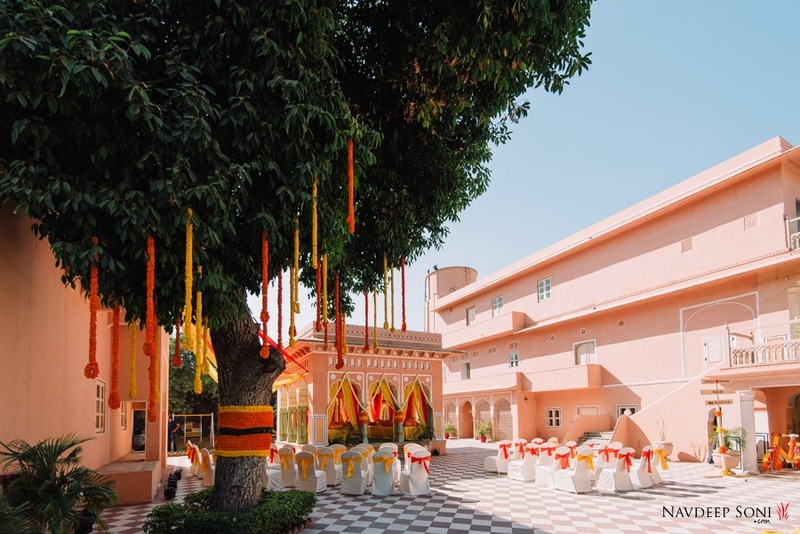 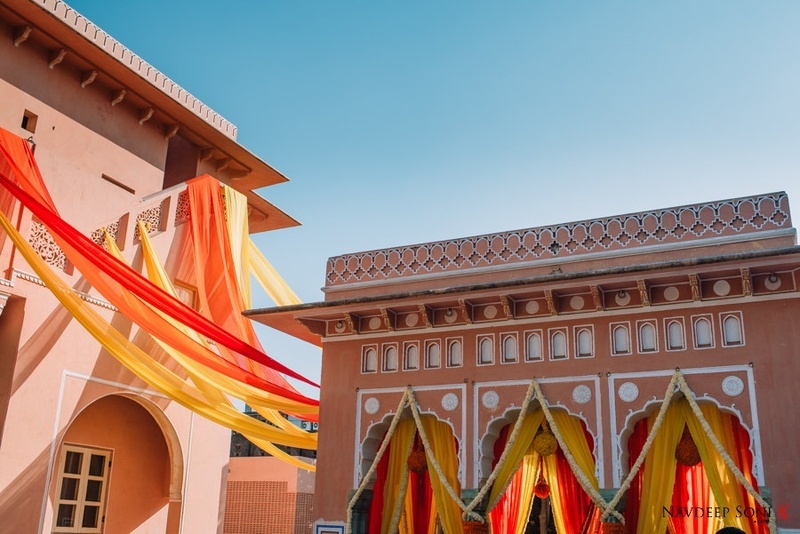 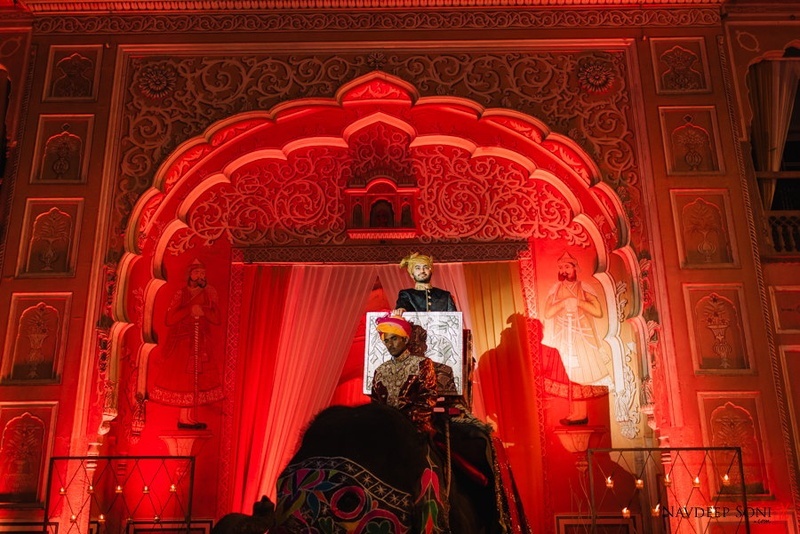 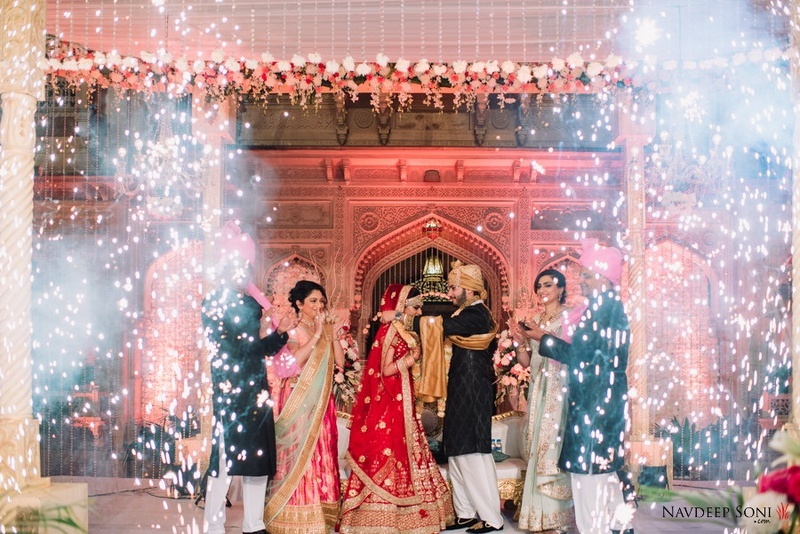 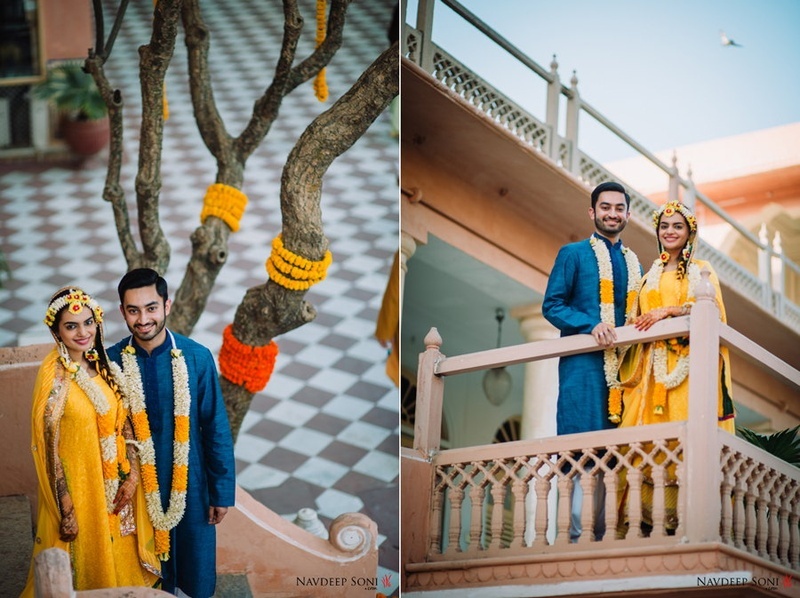 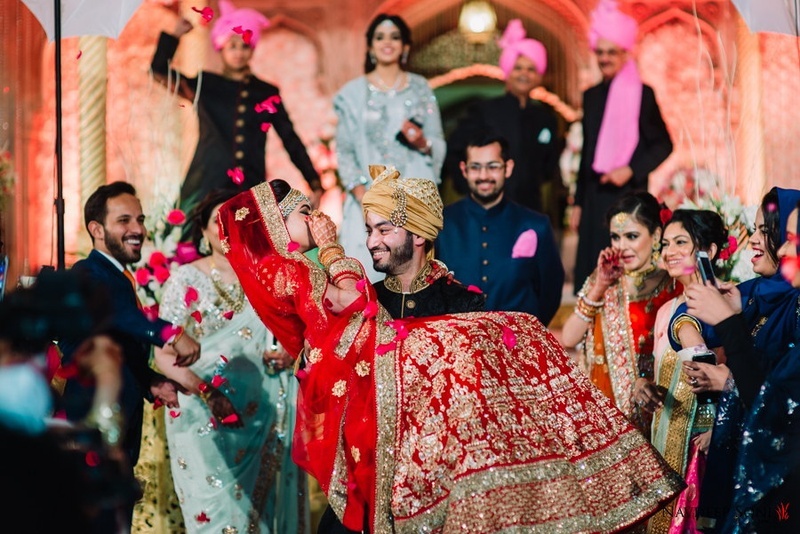 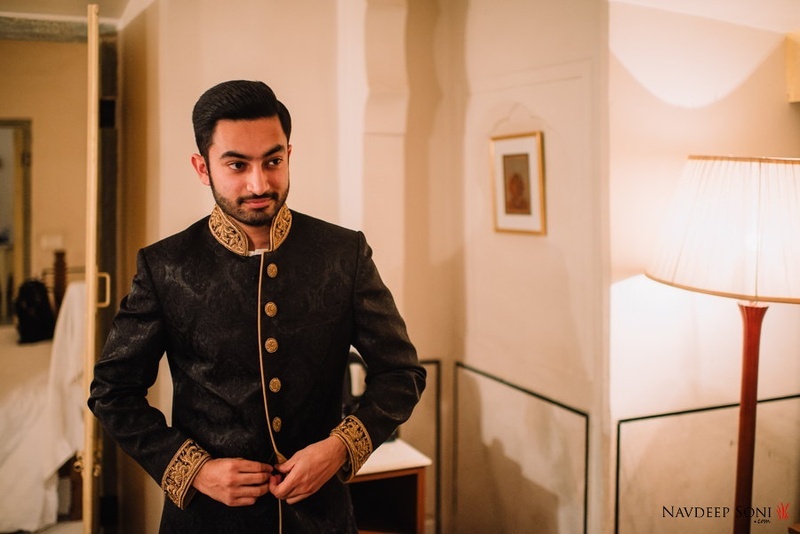 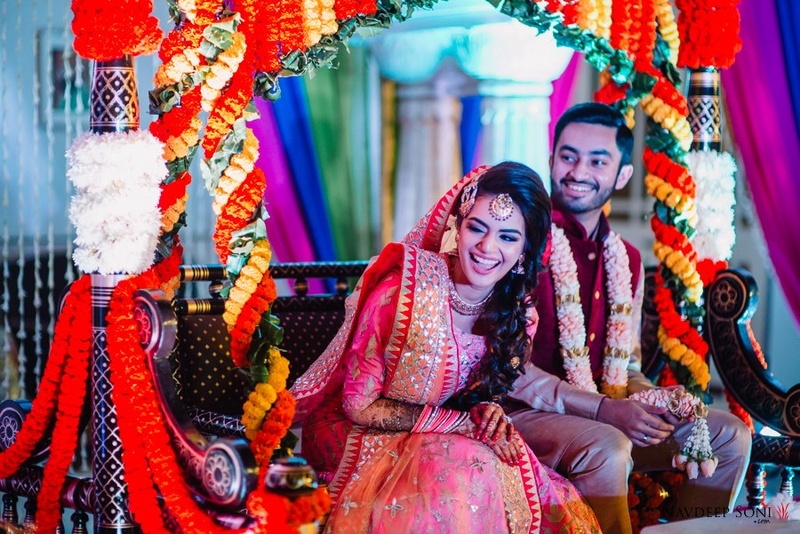 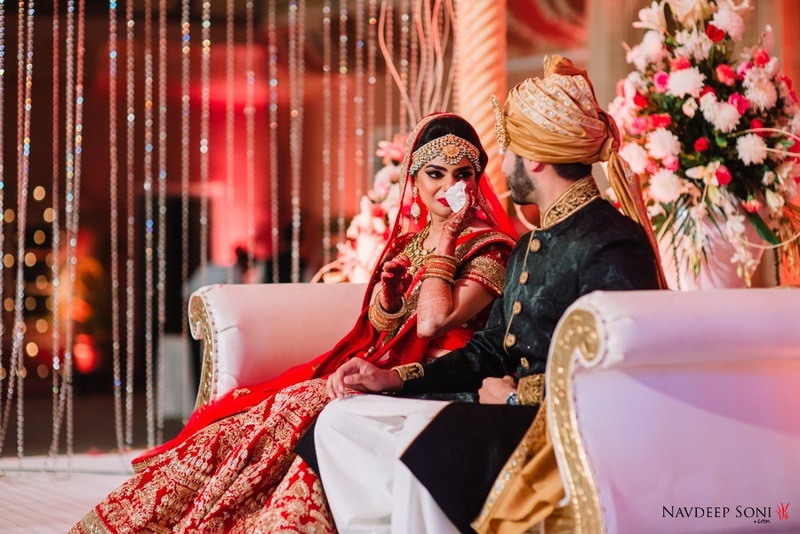 Check out all the photo, shot by Navdeep Soni Photography at this gorgeous Chomu Palace wedding! 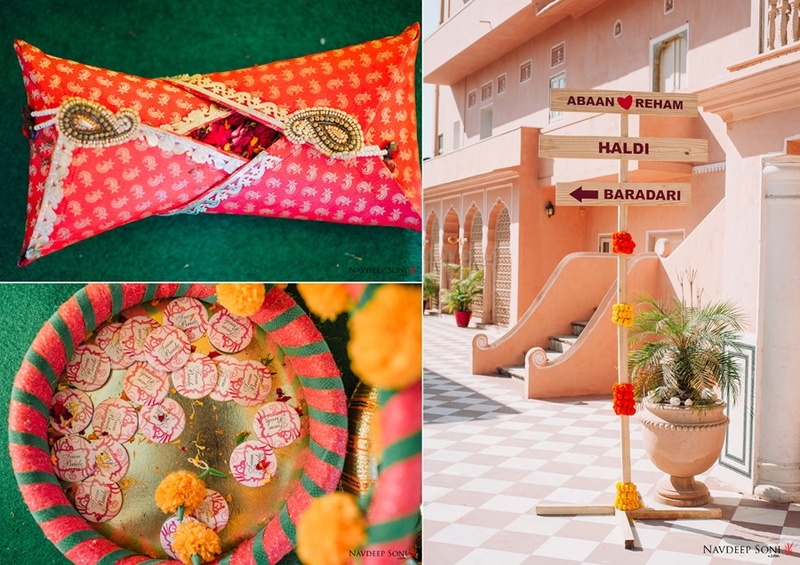 Colorful decor done up by fabric for Reham's Haldi and Mehendi ceremony! 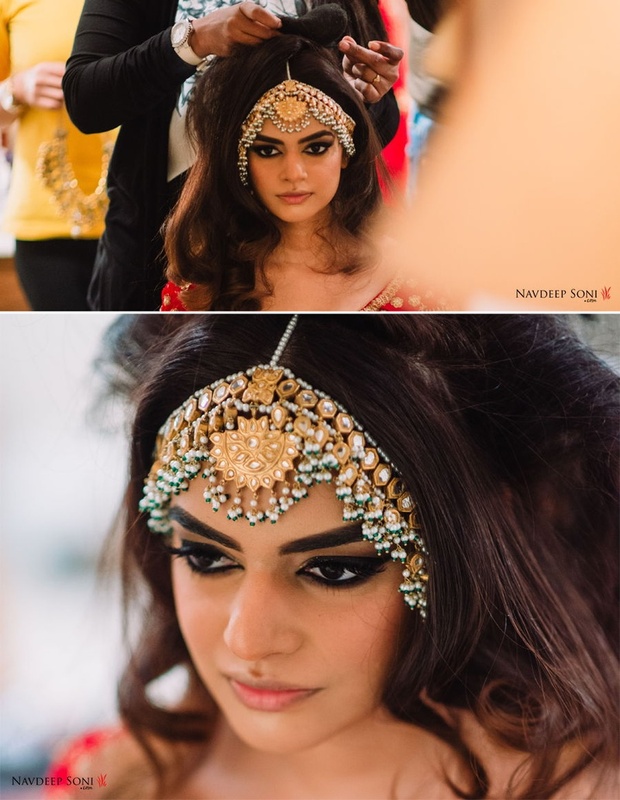 Our gorgeous bride Reham getting ready for her sangeet dance performance!